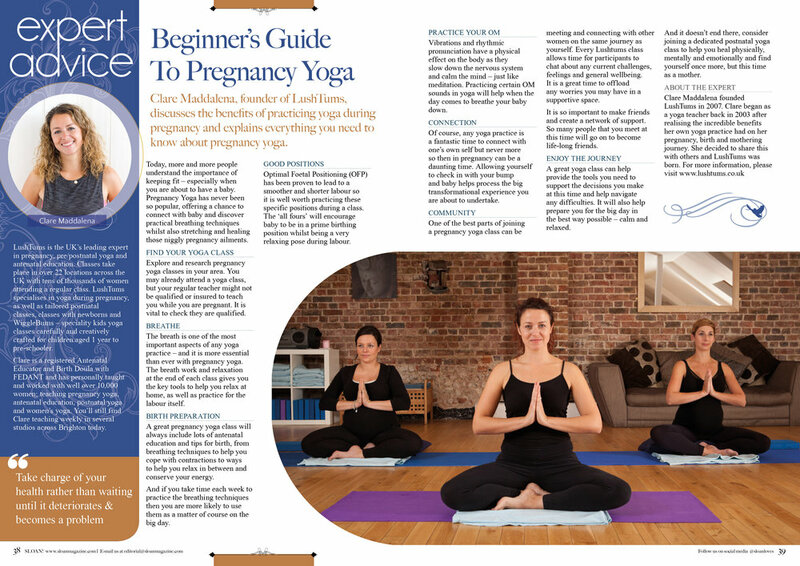 A beginners guide to pregnancy yoga. Clare Maddalena, a senior yoga teacher and doula tells Metro.co.uk that it’s about changing your ‘subconscious’ mindset. ‘Problems with fertility are often stress-related, where you end up in a vicious cycle of want and frustration, so something like yoga can help,’ Clare Maddalena, a senior yoga teacher and doula, tells Metro.co.uk.